From the last couple of months, there are many leaks and reports floating around the internet regarding the different features of iPhone 8 and inclusion of facial recognition system is one of them. All though there were lots of reports around the internet about the rumored technology, it got some authentication after Bloomberg reports about the feature. The report details Apple's facial recognition technology and also how the conventional Touch ID fingerprint sensor could be replaced. As per the reports, Apple is testing this new feature of facial recognition system as the replacement security feature for a fingerprint scanner. The new security layer for unlocking the upcoming iPhone tipped as the iPhone 8. The technology doesn't limit to unlocking the handset but perhaps be used to authenticate payments, launch secure applications and more. The improved facial recognition system is based on a new 3-D sensor. Furthermore, Apple is also said to be testing an eye-scanning system, something that could debut alongside the face recognition technology with the iPhone 8 later this year. Bloomberg reports that the sensor's focal point will be speed and accuracy. It could take a few hundred milliseconds to scan the user's face and unlock the iPhone. It is also designed to function when kept in a flat position. 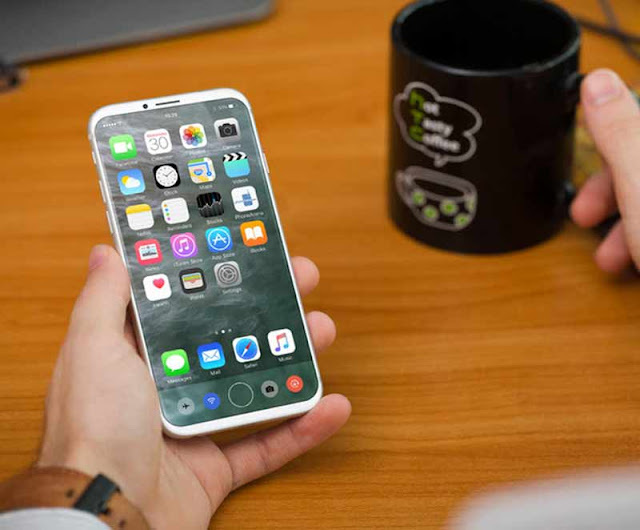 Since this technology is still in the test mode, there is also a possibility that Apple may not feature it for its iPhone 8 unless completely satisfied with the test results. The face recognition system, in tests, reportedly takes more data points as compared to the fingerprint sensor, in turn, making the entire process more secure. Although rival companies like Samsung already have smartphones with iris scanners, there were some claims on how users were able to trick its sensor with a printed photo. Since Apple's 3-D sensor also takes the 'depth' factor into consideration, the success rate of recognizing a real face than a printed photo could be more. Whether the technology debuts with the iPhone 8 or not remains to be seen, the report states the intent is to replace the Touch ID fingerprint scanner that debuted with the iPhone 5S back in 2013. As per the earlier reports, Apple is also being said to ditch the iconic Touch ID scanner in favor of an on-screen fingerprint sensor, something that also acts as a gateway for the company to use extended displays in the handset. We have already seen several renders and even hands-on video showing the alleged iPhone 8 with minimal screen bezels. Apart from the sensors, the report mentions how Apple is also testing iPhone models with a dedicated chip for processing Artificial Intelligence (AI) tasks. It has been already reported that a dedicated AI chip, internally called as the Apple Neural Engine, can result in a better battery performance as it won't use the main A-series processor for such tasks. As for the faster screen, the report adds that Apple is testing the same ProMotion display, which debuted with the recently launched iPad tablets, for the upcoming iPhone models as well. The technology brings in smoother scrolling at 120Hz as compared to the regular 60Hz.